There are over 2000 active mines and quarries in the UK producing a wide range of minerals including construction aggregates, building stone, coal and industrial minerals. The British Geological Survey produce a report listing all active quarries and mines. The very first report was published in 1858. More information on Quarries and Mines can be found below in the latest report. In the quarry and aggregates industry water is an essential element to its operations. Many quarries use water from collected rainfall voids, streams and surface run off, but often an additional source of water is needed to ensure a constant supply of clean water. Many quarry processes require water for cement, dust suppression, washing crushed stone, wheel washes, and for the production of block and concrete. The pumped water is mainly abstracted from boreholes. Drilcorp have carried out many projects in the last year on quarry sites. Some of these involve not just drilling boreholes but using site investigation techniques to establish water volumes, water monitoring, coring and blasting rock. To understand quarry water many techniques are used. Using pump records to calculate the amount of borehole and river water being brought to the quarry. Carrying out assessments to divert unwanted water. Water monitoring to prevent pollution to the aquifer during the quarrying process. Many sites use oil and chemicals and the consequences of polluting the groundwater are far reaching and costly. The main sources of contamination are silt, suspended solids and oil. If these are not controlled and allowed to enter the groundwater then there can be considerable damage to aquatic ecosystems. In a recent project our Geotechnical Exploration Services (GES) carried out the drilling of three boreholes for water monitoring on a quarry in Northumberland. The quarry was looking to re-open and begin operations but as part of the process hydraulic testing was required to determine the origin of water within a lake which had formed on site. 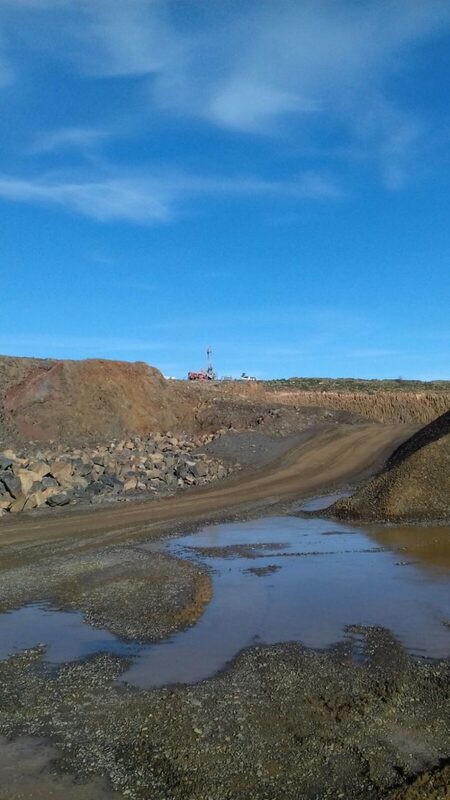 On another quarry in Scotland the quarry owners needed to establish the amount of basalt on the site which could be used for mineral exploration, GES carried out the drilling of five boreholes using a Geobore S Wireline system. The boreholes were drilled to 25 metres and then samples were analysed for the depth and quality of the basalt. The boreholes were backfilled with bentonite pellets. Gas monitoring is also an important regulatory consideration and GES carried out two boreholes to a depth of 80 metres at a quarry in the North East. Monitoring wells can be installed and usually consist of a 50mm HDPE plastic pipe. Gas bungs are fitted to allow for regular samples to be taken. Where a water abstraction borehole is required our Borehole Engineering Services can advise on licensing and abstraction rates. In a recent project BES helped a quarry in North Yorkshire to obtain a licence to extract 10 cubed of water per hour from a borehole. Their current water supply was from a manmade lake but this was failing to supply enough water. Borehole Engineering Services (BES) work regularly with the Environment Agency (EA) and were required on this occasion to complete a water features survey on the site. A Water features survey involves a visit to site to check for any water courses in a 500m circle from the borehole location. Following our investigations, we found two ground water monitoring boreholes inside the quarry and a manmade lagoon. The findings were sent to the EA and they granted permission to drill a borehole on site along with a pumping test regime on completion. 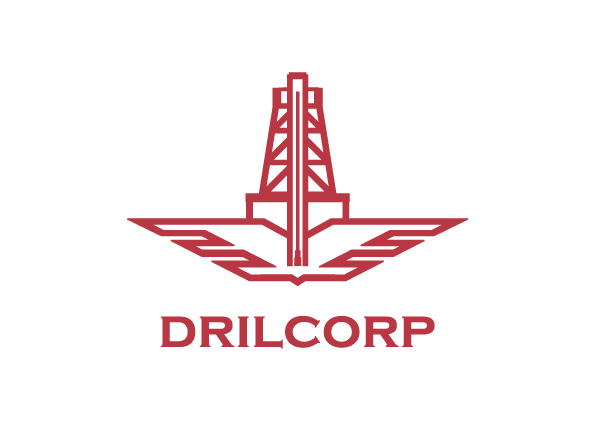 Drilcorp work regularly in the quarry industry and have dedicated teams and specialisms for any project. If you need any advice or guidance on your next project give us a call.